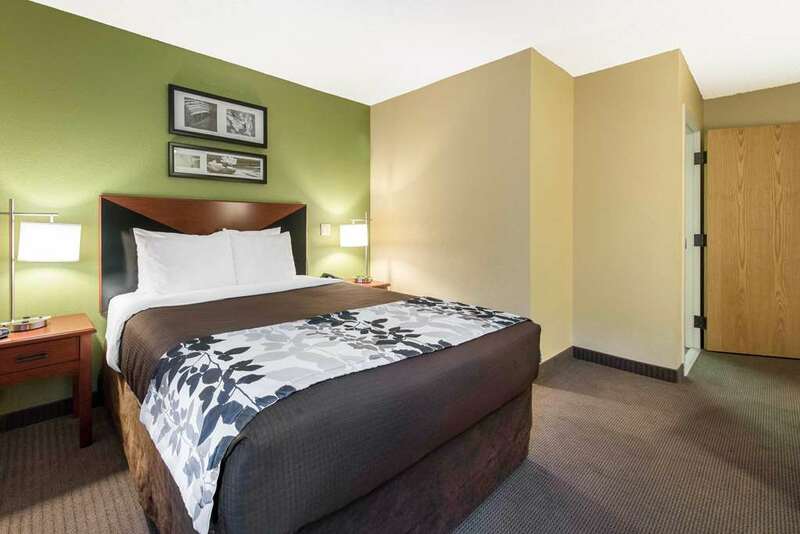 Dream better at the Sleep Inn Denver Tech Center hotel in Greenwood Village, CO. Our smoke-free hotel is located off I-25, south of Denver, and accessible to all that this region has to offer. During your stay, enjoy our daily free hot breakfast, coffee and tea, free WiFi, an exercise room and an indoor heated pool. If you are traveling for work, you may also appreciate our business center, which offers a computer and copy and fax services. Guest laundry facilities are also available. Enjoy a simply stylish stay in your guest rooms, which features a TV, refrigerator, microwave, coffee maker, iron and ironing board. Also, earn rewards including free nights and gift cards with our Choice Privileges Rewards program.